Standard & Poors now rates Areva’s finances as one rung below “investment grade.” While Areva is 87% owned by the French government, hence the hearings, institutional investors own approximately 50 million of the firm’s 382 million shares. At the current market price of $9.82, that represents $488 million in holdings. (52 Week H $22.24; L $9.30). The losses incurred by these investors from the market high to the close price of 11/28/14 are $621 million. On the French side the government’s losses are $4.1 billion. These kinds of numbers have the government and the firm’s major investors deeply worried about the firm’s future and how to dig it out of debt. Given the challenges faced by Areva, that won’t be easy. The company is facing increased cost overruns, and delays, at EPR reactors under construction in Finland and France. The slow restart of Japan’s reactors has clipped sales of uranium and related services, and other nuclear vendors including Westinghouse and Russian state-owned firm Rosatom are eating Areva’s lunch in terms of booking work. Stiff competition in a post-Fukushima market is also forcing Areva, which employs 45,000 people globally, to start discussions about layoffs. The process is fraught with politics including possible changes to France’s 35-hour work week. Half of Areva’s workforce, and a third of its sales, are in France. In other countries, not tied to French labor laws, the trip to the unemployment lines for some Areva workers may be uncomfortably swift. The good news delivered by Knocke is that Areva has two billion euros in cash to cover current operations. According to Knocke, Areva is putting together a new strategic plan which it will publish in February 2015. Also, it is revamping its supervisory board which is to be chaired by Philippe Varin, the former CEO of carmaker Peugeot. Varin has some experience with the uranium mining business due to a business role with Rio Tinto. What Areva doesn’t have are the contingency cash reserves for future costs at the two reactors under construction nor does it have capital to participate as an equity partner in new nuclear builds. For instance, although it is a technology partner with Mitsubishi on the four Atmea-1 1100 MW reactors being sold to Turkey, it is not an equity investor in the project. In his testimony to a committee in Parliament, Knocke denied that Areva would dip into decommissioning funds to pay for its participation in the UK Hinkley Point new build that includes two EPR reactors. Knocke said that Areva is a supplier, and not an equity partner, for the project. EDF, which is managing the 24 billion euro effort, has been lining up investors including two Chinese firms, the Saudi Electric utility, and Qatrar’s sovereign wealth fund. Together they account so far for 55% of the cost of the project. Now that Hollande has the bill, will he pay it? 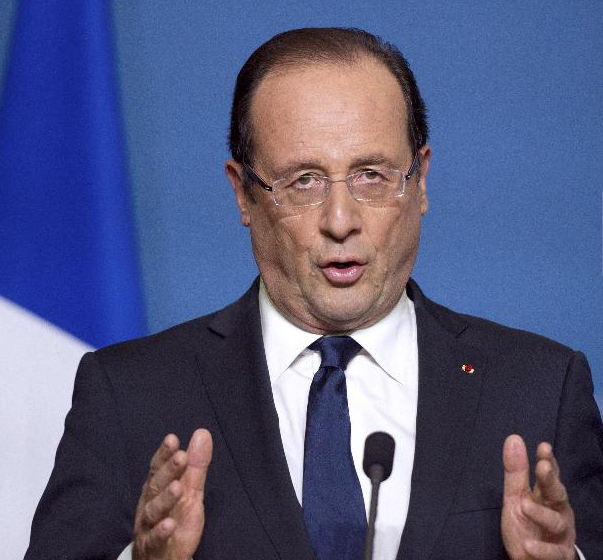 French President Hollande is no friend of the French nuclear energy industry. He has pushed, with support from French Greens, a 25% reduction in the nation’s reliance on nuclear energy and the closing of the oldest reactors. Instead, he wants more of the nation’s electricity to come from renewable sources like wind and solar. While Hollande has a viable government in terms of seats in Parliament, he is deeply unpopular with the French voters racking up a dismal 13% approval rating for his economic policies. Whether Hollande’s standing with the voters will affect his energy policies remains to be seen. Areva needs new operating capital and a big dose of long-term patience from Parliament and the government to get back on its feet. It’s possible it will get both, but in the short term it must show its stakeholders it has a roadmap to recovery. The wire service Reuters reports that French nuclear watchdog ASN got passing grades from a review by the International Atomic Energy Agency (IAEA), but the IAEA also said the French nuclear safety agency is understaffed and faces growing demands on its services as the French nuclear fleet ages. France gets three quarters of its electricity from 58 reactors operated by state-owned utility EDF. As the reactors age, approaching 40-years old in the next decade, ASN will need to conduct more frequent safety checks requiring more staff and funds. France’s economy is not doing well, tax revenues are down, so getting more funds is an uphill battle. ASN chief Pierre-Frank Chevet says he has warned senior French government officials of the need to increase the authority’s budget and workforce. He wants 200 more positions. So far all he’s gotten are just 30 new slots. For this reason he is now calling for a new tax on the nation’s nuclear reactors to pay for the increased safety oversight work. One of the IAEA reviewers, Mark Satorius, an executive from the U.S. Nuclear Regulatory Commission, told Reuters that the French agency needs to bolster its safety culture. The final report will be made public by ASN in about 90 days. This entry was posted in Areva, Nuclear. Bookmark the permalink.